Java developers are always in demand. Ironically, the big corporations have a hard time finding them. This has been primarily because the programmers no longer show a preference to learn Java as the first language. Programmers now show an inclination to learn newer languages like Python or C++. 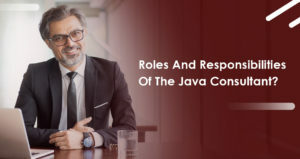 This has made the programming space even more competitive for Java developers and they have to constantly brush their skill-set to stay abreast with the latest happenings. There is a lot of buzz going around in the market-space and you have to grasp every opportunity to sharpen your axe. There are many ways in which you can enhance your basic programming skills like short training courses, review tutorials on some vital aspects of the language like reducing code in loops, increasing speed and also minimizing memory gaps. You can also look at participating in various developer communities or make one yourself with people around you with similar skills and passion. Java is now run by Oracle, which is a running US multinational corporation. There is a great scope for the developers, especially as a platform and core APIs. The language is still high on the popularity scale and is ranked number 2 after C. The Android operating system of Google also uses Java APIs. Also, nearly 3 billion phones, blu-ray players, millions of TV sets all run on Java. Despite the growth of new programming languages many corporations still use Java as it can be used for both software and the development of the web. 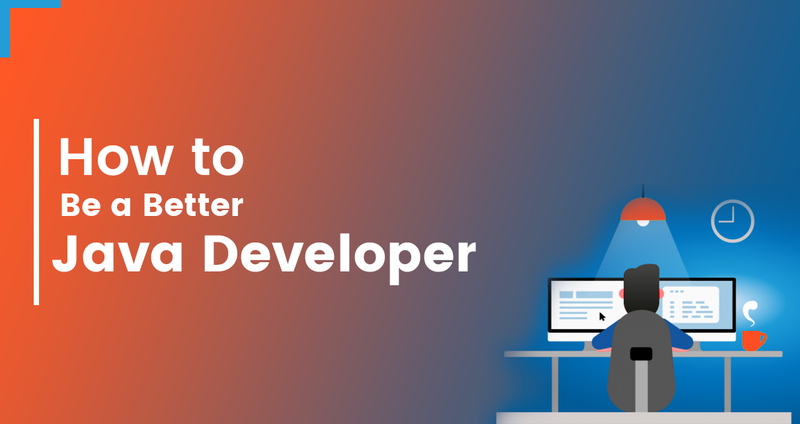 Here are a few steps which will help you become the best Java developer and make you market ready in 2019. Default and Static Interfaces: Java Developers can make interfaces with various method implementations making use of Default and Static keywords. Lambda Expressions and Functional Interfaces: Any interface with one abstract method becomes a Functional Interface. These are new concepts introduced in Java 8. Java Stream API: The new API is highly helpful to developers for managing sequential as well as parallel execution. Java is one of the most promising programming languages in the world. Also, it has the largest StackOverflow community which has a vital role in making a Java ecosystem. 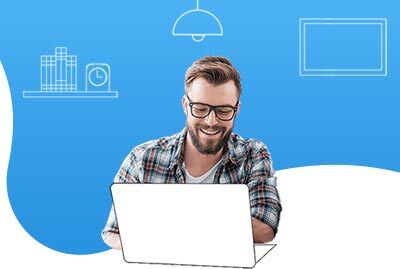 Having knowledge about vital APIs and Libraries which also includes Java Development Kit and other Third-party Libraries will form a prominent trait of an excellent Java developer in times to come. This does not mean that the developer should know about all the elements of the library. A fair knowledge about the crucial ones will be a great add-on. Apart from getting proper insights about 2-3 libraries, it is advisable to have basic information about the rest major ones. The topmost libraries of Java are JHipster, Java Standard Libraries, Maven, Apache Commons, Guava, google-gson, Hibernate-ORM, Mockito, JUnit, Log4j, and Slf4g. Spring framework is becoming highly popular with many Java Development Companies. The framework includes SpringBoot, Spring MVC and SpringCloud for development of web applications, REST APIs and even microservices. The framework also helps various developers to form applications from POJOs or Plain Old Java Objects. Thus, as a Java Developer, you should have a good knowledge about the same as it will be helpful in many ways viz. making a database transaction, developing a management operation from a local Java method etc. These will help you get an edge over other developers. Big corporations also prefer Java developers who are familiar with a whole range of unit testing skills, performance tests, integration tests etc. Even professional and experienced Java developers should improve their knowledge on various unit tests. These are used in verification of a slice of a particular software program. Junit5 is a simple yet powerful one to start with. This is very handy for beginners. Java Virtual Machine (JVM) is a vital part of the Java Runtime Environment (JRE). Knowledge of JVM is a clear indication of your depth of Java understanding as it is useful for solving complex issues while programming. Thus, knowing JVM system threads, understanding the link between Java bytecode and JVM, stack restrictions of Java etc. will be of great use as a Java developer in 2019. Knowledge of new languages is always an added advantage in professional life. As a Java Developer of age, you should have a hunger to learn new JVM languages like Scala, Groovy, Kotlin etc. These prove very useful in the development of Java applications. Kotlin, for instance, runs on JVM and can make use of the LLVM compiler infrastructure. Thus, learning new languages will also be helpful in comparing advantages and disadvantages in a better way which will further help you to do better coding. It is also useful in Android development. The importance of Design Patterns cannot be undermined or ignored by any software developer. Design patterns highlight the relation between various classes and object. In various object-based systems, an organized naming of various classes and objects helps in dealing with any recurring problem. Design patterns are also used by various developers for adding flexibility to applications. This also makes the applications more changeable. Proper knowledge about design patterns will help in identification and understanding the underlying issue with the application and also linking it with a set pattern in addition to making use of old interfaces to make the new design more futuristic. Thus, deep knowledge about the design patterns cannot be ruled out. 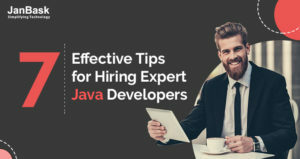 Remember, there is a huge pool of both experienced and upcoming Java developers and to stand out from the rest you have to walk the extra mile. The knowledge about the Java 8, APIs and Libraries, Spring Framework, JVM languages etc. will give you the desired push to live your dream as the best of breed Java developer. All these have been suggested factoring in the upcoming trends of 2019. Apart from these, your efficiency and zeal to do something new and pathbreaking will define the limit of your success in the field. 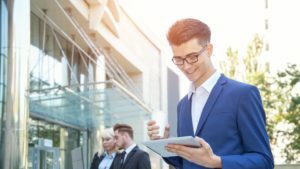 What are the Benefits of Java Application Development for Business?